HakonechloaGo On - Grow Some Grasses! I suspect that, like me, many of the more mature gardeners quite enjoy an old-fashioned detective novel, or a TV detective series. 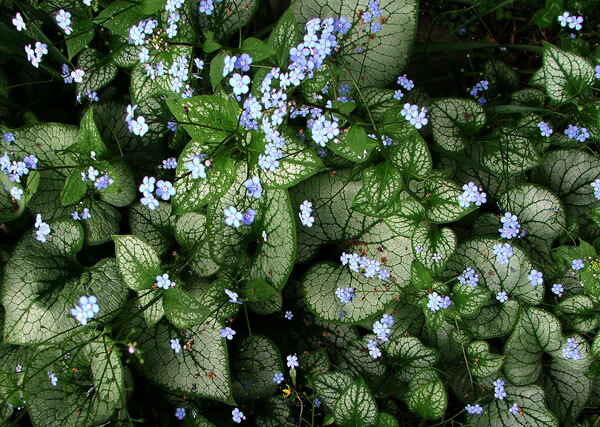 Inspector Morse hasn't to my knowledge given his name to any horticultural hybrid, but perennial lovers of the detective genre can be thrilled by the Brunnera called 'Jack Frost' (with thanks to the splendid British actor David Jason). That is, if we ever needed such a lame reason to buy such a great spring perennial. Brunneras enjoy a temperate garden, a mixture of sun and shade, and some half-decent spring weather to look their flowery best. 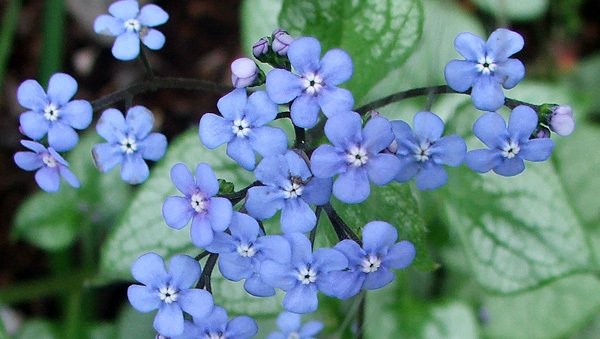 Unlike the shambling BBC detective of the same name, Jack Frost the Brunnera is elegant, robust, and a delight to find relaxing in your woodland garden. 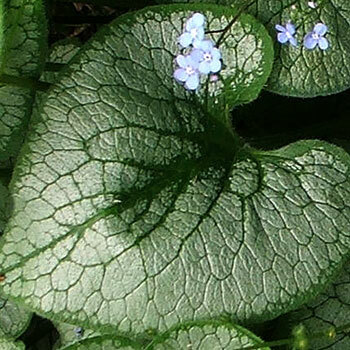 The variegation is elegant, too - green with delicate silver highlights (sounds like a hairdresser's special). The charming heart-shaped leaves are large enough for even the most short sighted gardener to notice as she (or he) wanders past. Hakonechloa - The Perfect Grass	Top Go On - Grow Some Grasses!